Volunteers who’ve gone above and beyond in their quest to reduce poverty in some of the world’s most marginalised communities, were honoured recently at a ceremony in London. Winning the VSO International Award was retired dairy farmer Simon Hall and wife Judith. Here he recalls the extraordinary experience they shared in their two years in Nepal working with the rural community. In July 2014, my wife Judith and I left our home in Somerset to achieve a lifelong dream. After 40 years in the dairy industry and beginning retirement we had volunteered for a two-year VSO placement to Nepal. Judith, whose career was in education, was placed with the UKAid funded ‘Sisters For Sisters’ programme mentoring young, disadvantaged female school pupils. Here she was part of a team to encourage the vulnerable girls to stay at school and make informed choices rather than leaving early, marrying and succumbing to hard domestic life. The programme worked with 1,600 young pupils in four districts, Judith’s being the Lamjung district. I was based in Kathmandu where I worked as an agricultural and food production advisor to the country’s dairy farmers looking specifically at improving milk quality and quantity. Our aim is to develop existing market chains to benefit the smallholder farmers, that we are trying to lift out of poverty and give improved life choices. I was the only non-Nepali working on a programme, which was funded by the UK’s Department for International Development and I drew on my background of dairy farming and cheese-making in Dorset. Why advise on milk quality you might ask? Well there are 450,000 milk producing dairy farmers in Nepal, a far cry from the under 10,000 we have here in the UK. Of the countries population of 23 million, 80 per cent of the families are subsistence farmers. Among these are half a million small dairy farmers who sell small quantities of buffalo milk to earn the thing which is hard to come by in this type of economy, cash. Also most farmers are women since many men work abroad sending back home cash in the form of remittances. The aims of the project were to increase family incomes, improve the lives of women farmers and reduce the negative environmental impact of milk production. 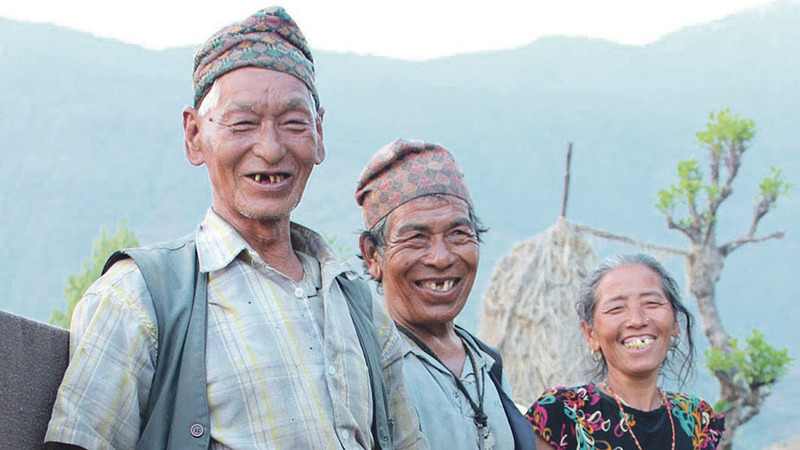 In this landlocked country which is the home to Everest and eight of the other worlds highest mountains, farmers battle against an array of challenges such as difficult transport in the mountainous terrain. Frequent natural disasters such as earthquakes, flooding and landslides together with Nepal being one of the poorest counties in south Asia make producing milk very difficult. Milk purchased in shops has a shelf life of one day, which says it all. All of the dairy industry stakeholders which included the government, processors, co-operatives and a huge number of farmers initially asked us to carry out research to find out what would benefit the industry most. The result was they asked us to advise on how to improve milk quality, which would be a stepping-stone to improving demand. And so I set about writing a system of good manufacturing practise (GMP) to help improve their raw milk quality. This included the training schedules, lesson plans, manuals and materials to enable farmers to follow it independently. All the stakeholders accepted the adoption of this Good Manufacturing Practice for Raw Milk (GMP) is the way forward and the final stage of my involvement has been training four senior government officers in all the historical, technical and methodological aspects of the GMP process. This then allows them to train 80 trainers within the supply chains whose job it will be to train a further 7,000 farmers. The big bonus is that 50 per cent of the government officers were women, as are 65 per cent of the trainers and the majority of farmers. Our work was suspended for a short time after the earthquake of 2015. When the 2015 earthquake struck, Judith and I were miles apart from each another given our schedules for that day. It took me 24 hours to reunite with her, travelling 50 miles in terrifying aftershocks on roads strewn with crushed lorries and landslides. In spite of the tragic earthquake in April last year which left more than 8,000 people dead and 200,000 people homeless, we decided to stay. We were asked by local government officers, co-ordinating the relief effort, to visit the most stricken areas of Lamjung and feedback vital information to emergency co-ordination teams about where food, shelter and medicine were most urgently needed. Eventually, I relocated to Kathmandu where livestock were badly affected and Judith stayed in Lamjung I help assess damaged schools and co-ordinated the building of Temporary Learning Centres to keep children learning when their schools had been reduced to rubble. The whole experience was a stand out moment throughout our two years. Despite the events surrounding the earthquakes most of our work was linked with long-term sustainable aid to rural families. Towards the end of our placement we were lucky enough to use our cheese making skills working with producers in Illam district where tea is normally the main source if income. We trained cheesemakers in the skills needed to assess the quality of their cheese and what to do if things went wrong. When you are 10 hours from the market place having an easily transported product like cheese makes sound marketing sense. 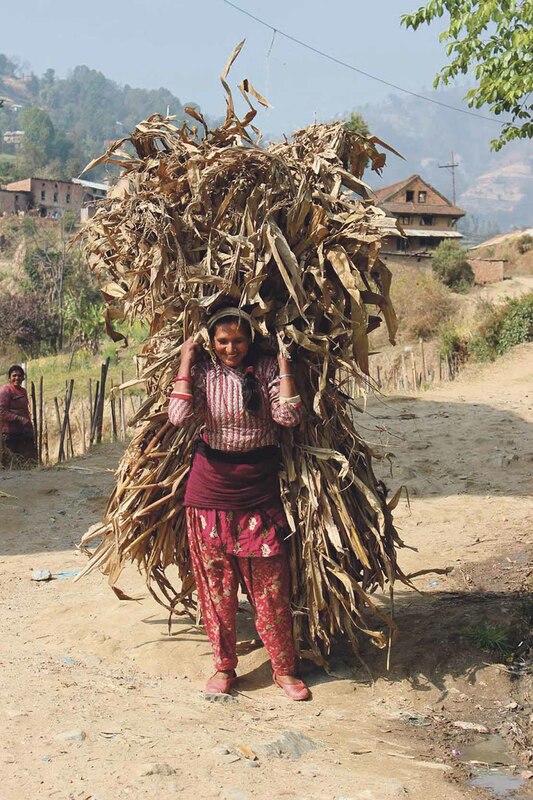 As you might expect Nepali life, as everywhere, had its ups and downs. The ‘ups’ take care of themselves but during the ‘downs’ - when a volunteer may feel a long way from home, or perhaps has temporarily lost sight of what it is all about or maybe the diet is a bit lacking and health is below par, then a whole other group of team members start to play their part. The team at VSO UK, prepared Jude and I for our trip to Kathmandu. Through VSO Nepal, that support has continued over the last two years but none of this could have happened without the actions of individual donors back in the UK who have continued to provide the finances. These donors include a huge numbers of British families who donate to VSO on a regular basis and, part of the reason I wrote a blog throughout our experience was so those donors could read a first-hand account of what their money has achieved. Friends and family have chatted over Skype, literally hundreds of thousands of you have read our blog posts. From the Ukraine to China and Ireland to Australia readers just taking the time to log onto the blog, and occasionally post a comment, all have a motivating effect on the volunteer - somebody is interested, somebody cares. Volunteering means leaving things behind and suspending life back at home. Another whole band of the supporting team like family members who look after the house and the dog and take on countless thankless tasks have played their essential role in this tale. The last couple of years have been a huge teamwork exercise with each participant making a valuable contribution. Thanks go to each and every one of you that has played a part in what we have collectively achieved. I would like to finish with a short quote from the late Joe Tasker, a very talented mountaineer and writer from the Northern England, who wrote “the most rewarding of achievements only come from succeeding against the greatest odds”. Together, we have achieved against all odds." Simon Hill has worked in farming and cheese production for the 40 years, the last 25 of which were as Farm and Cheese Director at Denhay. His wife Judith (Jude) worked for 17 years at Beaminster School in the PE Department, the west Dorset town where they bought up their children.